You have to respect a device that has remained largely unchanged over the centuries. 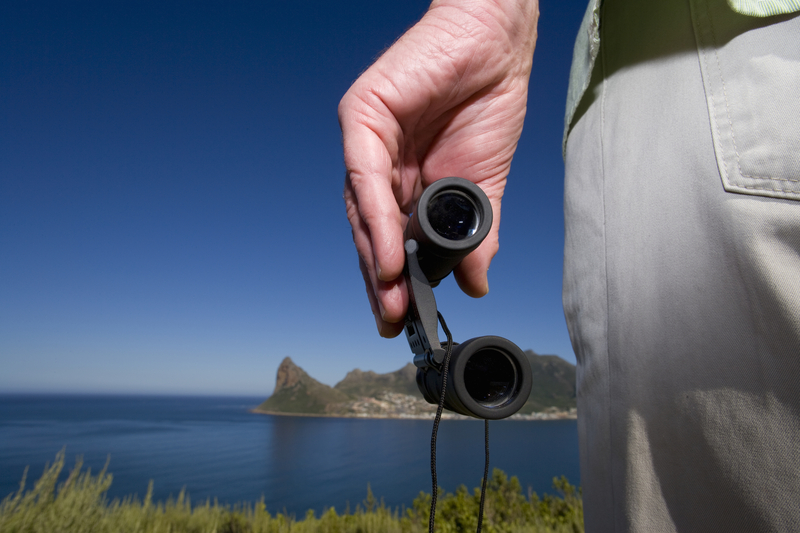 Binoculars are more precise and durable than ever, and that’s why they still warrant a spot in the glove compartment. “I always have a pair of binoculars in my vehicle for impromptu wildlife watching. They can also be handy in some circumstances when there’s an incident of some sort off in the distance and you want to get a better idea of what’s going on,” said Mike Capps, a media relations specialist for Bushnell Optics. A complex set of scientific principles govern the way binoculars perform. Put simply, larger lenses provide more magnification and brighter images during dawn and dusk. The drawback of larger lenses is–quite obviously–their size and weight. Low magnification offers a wide field of view and is more forgiving of vibrations. All binoculars feature a number indicating their level of magnification. If the number is 8, then an object seen through those binoculars will appear to be 8 times closer than by the naked eye alone. “I like to top out at 8 power for handheld binoculars. Beyond that they can get a little hard to hold steady,” Capps said. Selecting the right set of binoculars takes time. A wide field of view is crucial. They should be hefty but not bulky. The device needs to be powerful but sensitive enough not to magnify every shake, jostle or tremor made while using. The importance of fogproof and waterproof lenses can’t be minimized, Capps said. Imagine getting yourself in perfect position to spot a bald eagle perched high in an evergreen only to be denied by cloudy lenses. Binocular lenses should be coated to ensure light is transmitted evenly. Users of multi-coated lenses enjoy images with greater contrast and sharpness, Capps said. Capps suggested people test a variety of binoculars in order to find the best match. Field of view is crucial. Field of view relates to the width of area your binoculars can capture at a given time. Insist on coated lenses. Coated lenses have better clarity and improve visibility during dawn and dusk. Bigger isn’t always better. Larger lenses magnify best, but they are less forgiving of hand tremors or jostling. Pay attention to ergonomics. Consider their weight and bulk, especially if you are going to carry them around frequently.